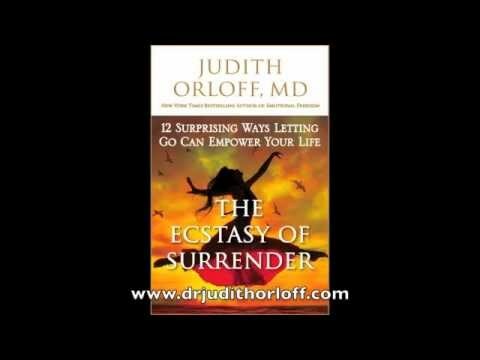 “Energy psychiatrist Dr. Judith Orloff shares ten heartfelt tips to help you sense and transform the energies around you in order to make better choices and improve the quality of your relationships in her book, POSITIVE ENERGY. You can learn to sense the energy fields or "vibes" surrounding you and other people, places and things -- and by doing so, gain tremendous intuitive insight, poise, and confidence in even the most difficult situations. POSITIVE ENERGY provides clear descriptions of how various kinds of energy ranging from delightfully positive to destructively negative feel, so you can more readily decipher your own physiological and emotional reactions to people and situations. For example, when you meet someone new and notice your body experiencing sudden otherwise inexplicable aches and pains, you're picking up strong negative vibes which should not be ignored! 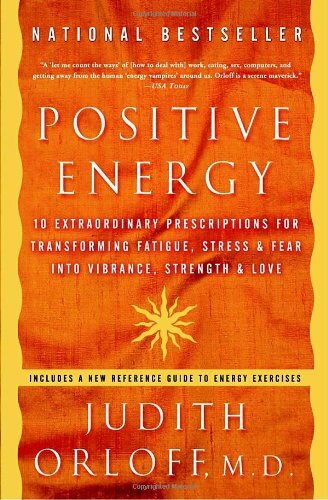 What I like best about POSITIVE ENERGY is the way it brings the concept of bioenergy fields into everyday life, through exercises, stories, and interviews with people from all walks of life (Jamie Lee Curtis, Eve Ensler, Wavy Gravy, Amy Gross, Quincy Jones, Naomi Judd, Larry King, Shirley MacLaine, Rosa Parks, Iyanla Vanzant). POSITIVE ENERGY shines a light into even the darkest places, and provides new techniques for healing ourselves and our world.” -Cynthia Sue Larson author of "Aura Advantage: How the Colors in Your Aura Help You Attain What You Desire and Attract Success"
Orloff, a psychiatrist who has appeared frequently on television and written an eponymous Guide to Intuitive Healing, here provides 10 detailed prescriptions for harnessing one's "positive energy" to replace fatigue with physical and emotional vigor. 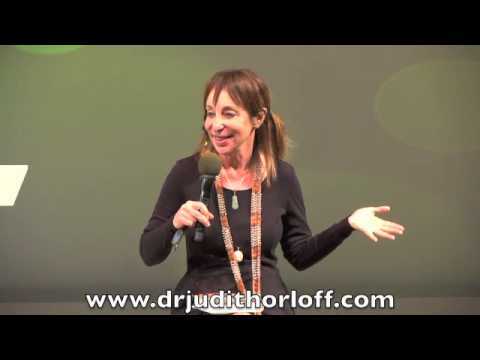 Her commonsense program includes pursuing an individual spiritual path, developing "true-to-self eroticism," designing an energy-building diet and exercise plan, learning to celebrate laughter and protecting oneself from "energy vampires." Along with practice exercises for following these prescriptions, each section ends with a public figure describing the ways that he or she uses Orloff's methods. In the chapter on spirituality, Amy Gross, editor in chief of O: The Oprah Magazine, discusses how practicing deep breathing and meditation replenishes energy as she centers herself. Wavy Gravy, who warned against eating the brown acid at Woodstock, explores the way laughter has not only helped him cope with pain but also heightened his vitality level. 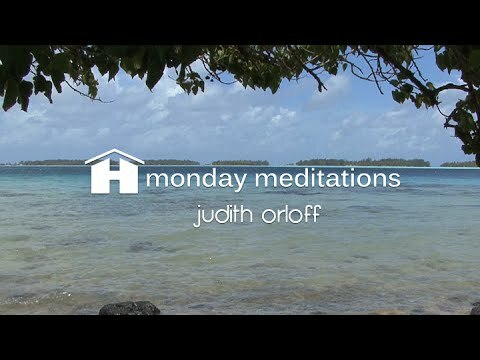 Orloff delivers her revivification techniques in thoughtful, accessible prose that some may find an energy builder in itself.